This simple but elegant hand-crafted aluminum mailbox post will add sophistication to the front of your house. 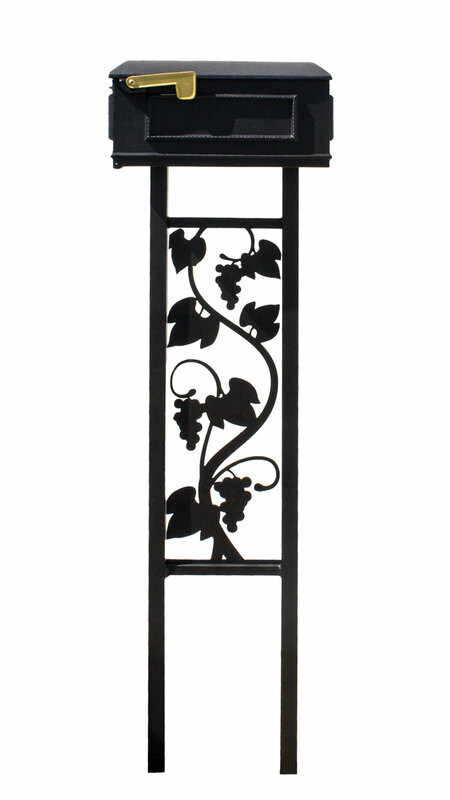 The post features a durable rust-free powder coated finish that will provide years of trouble-free service. Choose from four standard designs: Lotus, Horseshoe, Floral or Grape. Custom colors, community logos and post designs are available (please call for details). Designed for easy direct burial with 12" to 16" in ground. Post dimensions: 13" wide x 56-1/4" high.